If we are to prevent the Hippo from becoming extinct, then we have to take steps to protect them. This includes protecting their natural environment and preventing poaching efforts. In 2006 studies show that there is a 20% reduction of Hippos from 1996. What that indicates is that large numbers of them are still being killed for illegal use of meat and for the illegal sell of the ivory teeth. Since 2006 the Hippo has been on the list of vulnerable species out there. Heavy hunting of them continues though as it is extremely hard to enforce. The fact that the ivory from Hippos as well as elephants brings so much money is a key reason that they are killed. Many villagers in Africa depend on them to offer meat for their survival. It isn’t practical for the laws to be effectively enforced in such areas. Even though there are rewards for reporting illegal hunting and poaching, many of the acts go undetected. With the advanced weapons available today, there is more power from an to be able to take down a large animal like the Hippo. The fact that the environment for a Hippo has to be very large makes it difficult to conserve a location for them. They need deep bodies of water and tons of green vegetation for them to thrive on. They don’t do well sharing such an environment with other animals. However, this aggressiveness does help to keep a good balance in nature. Hippos mainly enjoy bodies of slow moving fresh water. Of course this is the very same bodies of water that most humans would love to spend time in as well. The billions of dollars out there made annually by smuggling ivory around the world is unbelievable. Many lawmakers thought they were doing something positive by putting a ban on it. Yet it has only increased the demand for it and the overall value. The Democratic Republic of Congo is a huge problem when it comes to destroying Hippos and their environment. It is estimated that only about 5% of the numbers that once lived there remain today. This is mainly due to a great deal of poaching in order for the poor people in this area to survive. Environmental changes too including global warming continue to make life harder for the Hippos. They may suffer from a reduced rainy season which produces lots of food for them. It is also during that time of year when they are most likely to mate. While Hippos in captivity can do well, it isn’t practical to move more of them from the wild into zoos. 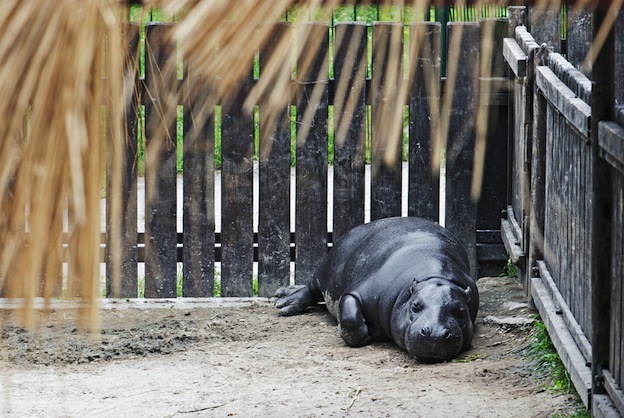 It is extremely expensive to house the Hippo in captivity. It is also very dangerous to take one out of the wild and place them into captivity. That is why almost all of them found there today have been born there. There are plenty of volunteers out there though willing to donate their time and money to the cause. They want to see the Hippos thriving in the wild because they feel they are vital to the balance of things in the African wildlife population. You can be a part of Hippo conservation efforts too. Go online and find various entities that have goals in place for helping. A great way to help too is by sharing accurate information about Hippos. Too much of what circulates about them puts fear into people. Then they don’t seem to care if this animal is able to survive or not. Your efforts combined with those of other people can make a profound effect on their future.